Who’s In Charge? You Or Your Thai Wife? Are You In Charge When You Are With Your Thai Wife? Simply stated the answer to that question is YES. Thai culture is still based on the traditional roles of men and women. As such when you marry a Thai woman you become the head of the household. In general a Thai wife will defer family decisions to you. It’s not that she won’t participate in the decisions, it’s just that ultimately she will leave it to you to make the final decisions. It’s a situation you may be wholly unprepared for if you’re accustomed to Western culture. How Is A Thai Wife Different From A Western Wife? In Western culture feminism has empowered woman to to treat all roles within the family equally. That’s undoubtedly a good thing and it’s a modern phenomenon. It’s works well if both partners are equal parties to the relationship. Where it falls down is when the woman tries to play the roles of both the man and the woman. Where does that leave the man? It leaves him emasculated. He has a sense of the role he should play in a relationship but he doesn’t get a chance to do it. 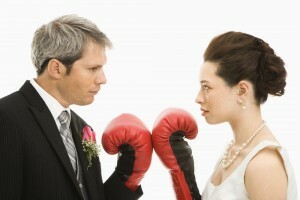 Eventually the confusion in roles can lead to marital strife. If the couple can’t work things out the relationship will fail. 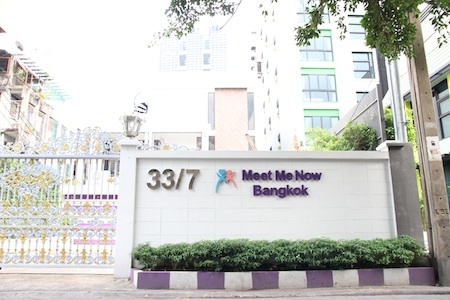 Many men from those failed relationships look for a Thai wife the second time around. Will A Thai Wife Expect You To Make Decisions? Why is it that Western men will look for a Thai wife for their second marriage? What makes a relationship with a Thai woman different from a relationship with a Western woman? A Thai wife prefers the clearly defined roles of traditional relationships. That’s how they are brought up in their family and that’s what they are expecting from the man they marry. Does that make them subservient? Is a Thai Wife Subservient? Actually no. Although you don’t see the overt Western feminism in Thailand, Thai women have still improved their standing in relationships. They will empower their man with the final decision making power that’s true. But a good Thai wife will expect to discuss and make decisions along with you. In the end you will both have an equal say in how you expect things to go. When the decision is clear then she’ll demur to you to make the final decision. But of course that decision has already been made between the two of you. There More To Understand In Part Two. Is there more you should understand about the way Thai woman view your role in the relationship? Indeed there is. How does a Thai woman know what you will decide? Is she willing to accept your decisions all the time? 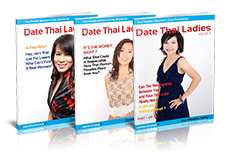 Find out the answers to these questions and more, like how your Thai wife is like a lawyer, in part 2 of You’re In Charge When You Are With Your Thai Wife, Right? It’s coming in my next blog. Be sure to check back!